Imperial College London is consistently rated amongst the world’s best universities and is a science-based institution with a reputation for excellence in teaching and research. 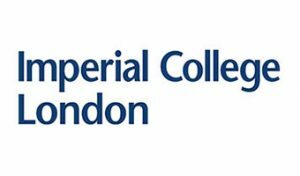 Imperial embodies and delivers world class scholarship, education and research in science, engineering, medicine and business, with particular regard to their application in industry, commerce and healthcare. We foster interdisciplinary working internally and collaborate widely externally. Research groups in within the Department of Electrical and Electronic Engineering and Business School at Imperial are at the forefront of innovation in the development of new classes of tools for analysing technical, economic, security and market performance of future low carbon energy systems. recommendations (WP10), tasks 10.1 and 10.2. Imperial is an international leader in the area of assessing the value of flexibility services and system optimisation with low-carbon and Smart Grid technologies. A particular focus is given on role and value of various flexible technologies and services, with Imperial having comprehensively informed industry, governments and regulatory bodies regarding the benefits in the context of future low-carbon power systems. The Imperial’s expertise in this area is significant and the team has published a large number of relevant academic papers and reports, as results of the conducted research activities in the high-impact European and UK projects.